Collins Radio Company, with more than 30 years' experience in research, development and manufacture of distinctive amateur equipment, has dedicated itself to the objective of product excellence. Whatever the field - amateur radio, avionics, commercial broadcasting, space electronics, communication, computation or control - Collins' uncompromising standards of excellence begin with product development and continue through every step of manufacture, quality control and test. 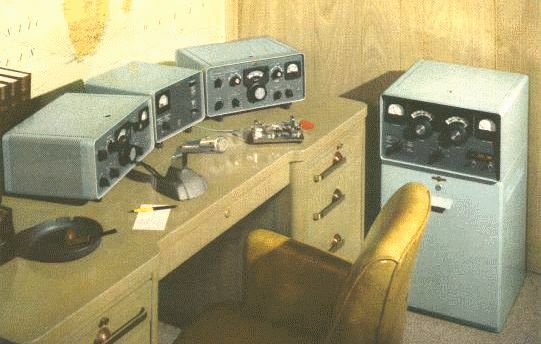 Collins' amateur radio equipment has been the standard used by DXpeditions around the world in environmental extremes seldom encountered by the average ham. Collins' single sideband products have long been used by the U.S. military team. During the early years of single side- band communication, the size and weight of the equipment limited its use principally to point-to-point circuits between fixed stations. Continued development following World War II has resulted in a wide variety of high performance equipment for airborne, transportable, vehicular and shipboard, as well as fixed station, use. The Strategic Air Command commanders' net, the Strategic Air Command aircraft control net and the Navy Tactical Data System are but a few of the major installations using Collins' single sideband. The Universal Radio Group, latest generation of Collins' SSB equipment, is a highly flexible and sophisticated HF communication design used by the U.S. Armed Forces, NATO and space centers. Collins' research and development, plus the Company's never-ending emphasis on quality control, assure each Collins' amateur equipment owner that he has the most advanced and most thoroughly tested equipment available and that it will retain its value through the years. If you have an original Collins manual or sales brochure for a piece of Amateur equipment not included in the exhibit list above, please consider loaning it to the "Virtual Collins Radio Museum" for scanning. This will enhance the scope of the "museum" and allow its welcome visitors to enjoy learning about all the fine pieces of communications equipment made by the Collins Radio Company. Thank you for your assistance!